Organized annually by the Hong Kong government’s innovation arm InvestHK, the StartmeupHK Festival brought together over 8,000 participants and 200 speakers to showcase the city’s latest innovation coming out of the city. The week-long festival was packed with an impressive lineup of industry leaders and government representatives, deep diving into topics around fintech, healthtech, edtech, IoT, retail, logistics, and more. The Hong Kong government’s Under Secretary for Food and Health Dr. Chui Tak-Yi kicked off the week with an opening keynote at the Healthtech O2O Summit, which was hosted by NexChange Group. He used the opportunity to announce the launch of the Hong Kong Genomic Institute, an organization to spearhead a large-scale genomic sequencing project to advance healthcare development in the city through big data. Policy and public healthcare was a theme for day one, as attendees also heard from the Hospital Authority’s Chief Medical Informatics Officer Dr. Ngai-Tseung Cheung. He spoke about the organization’s efforts to digitize patient records and deliver next-generation clinical management to address the city’s aging population problem. “We have massive healthcare needs and fewer young people to provide it. Business as usual isn’t going to cut it,” said Cheung. Other notable speakers included Bayer Greater China President Celina Chew, who discussed the company’s digital therapeutics app Power Plus, and Novoheart CEO Ronald Li, who closed with a final keynote about the company’s biological version of a pacemaker. InvestHK Associate Director-General Jimmy Chiang speaking at Inside Retail Hong Kong, which took place on day three. Photos courtesy of StartmeupHK. The Tech[Life]Style Conference, co-hosted by Startup Launchpad and The Mills Fabrica, took place on the second day of the festival. With its theme of ‘living smarter, living better,’ the conference brought together over 100 startups that are changing the way we live, work, and play. Exhibiting startups set up booths in the Innovation, Sustainability, and Lifestyle rooms, where attendees could test out the services and products on show. One highlight was TG3D Studio’s Scanatic™ 360 Body Scanner, which gave attendees instant access to their measurements for the purpose of producing made-to-measure apparel. The device is the first self-service 3D body scanner in the world and is among many of TG3D Studio’s fashiontech solutions to digitizing every aspect of the industry’s value chain. The conference also brought in high-profile speakers who represent the world’s leading technology companies, including SenseTime, Ant Financial, Uber Eats, and Huawei, to speak about their lifestyle products and how they’re working to pave the way for a smarter world. The city is now home to 2,625 startups, marking a 146% growth over the past five years and currently employs over 9,500 people. Inside Retail Hong Kong hosted Retail’s Cutting Edge for the third year running on day three. InvestHK Associate Director-General Jimmy Chiang welcomed attendees by sharing statistics about Hong Kong’s growing retail landscape, which he attributed to improved Greater Bay access resulting from the high-speed rail and the Hong Kong-Zhuhai-Macao Bridge. He also reiterated the government’s commitment to preserving a low-tax business environment and discussed areas for further growth in the coming years. “The current Muslim market population is 1.6 billion, nearly a quarter of the world’s total population, of which 60% live in Asia. That number will reach 2.2 billion by 2030,” said Chiang. Other notable speakers included Fung Retailing Group Managing Director Dustin Jones, OC&C Strategy Consultants Partner Pascal Martin, and Idea Farm Ventures President David Bell, who shared critical lessons for retailers, upcoming trends, and relevant case studies with the audience. Hosted by the Alibaba Entrepreneurs Fund, JUMPSTARTER took place on days three and four to give voice to some of the most inspirational entrepreneurs throughout the region. They included youth entrepreneur Emma Yang, who founded her company Timeless at age 11, and Wantedly Founder Akiko Nata, who is the youngest ever CEO to have their company listed on the Tokyo Stock Exchange. Alibaba Entrepreneurs Fund Executive Director Cindy Chow and Alibaba Group Vice Chairman Joe Tsai also shared their vision for the JUMPSTARTER platform, which is to help entrepreneurs realize their startup dreams and encouraging founders to have a vision for their company. “Mission, vision, values – these are the three most important things to think about as you start your business,” said Tsai during his closing remarks. The Connected Cities Conference, hosted by KPMG, took place on day four, where the focus was on building smart cities through people-focused collaboration. Associate Director-General of Investment Promotion at InvestHK Charles Ng’s opening speech touched on the city’s role in the future development of the Greater Bay Area, which is propelled by its more than 149,000 high net-worth individuals and growing startup ecosystem, as exemplified by the week’s festivities. Other speakers, who represented their respective cities, echoed the need to build smart cities to elevate the quality of life for its residents. The audience heard from Smart Sustainable Cities Organization (Seoul) Secretary-General Lee Kyong-Yul, Centre for Liveable Cities (Singapore) Director Dr. Limin Hee, Innovation and Technology (Hong Kong) Under Secretary Dr. David Chung, and the Asia Pacific Model e-Port Director-General Simon Huang. Business leaders also took the stage to share how their companies are using technology to address specific issues in the world’s most cosmopolitan cities. Signify’s General Manager Timothy Mak spoke about the company’s collaboration with Alibaba and the Chinese government to tackle the issue of air pollution, where lamp post sensors would sends data to the governing bodies when levels reach a certain level. The Startup Impact Summit, hosted by WHub, took place on the festival’s last day to explore successful cases of co-innovation between startups and corporates. Summit brought together over 30 speakers to cover topics including growth marketing, prototyping, AI, fintech, and crowdfunding. Over 100 startups had the opportunity to exhibit their products in the Startup Village as a way to connect with attendees and global ecosystem builders. Hong Kong-based legaltech firm Zegal led a number of interdisciplinary workshops to help startups hone in their fundraising, marketing, and accounting skills. Angel investor Jason Calacanis also hosted a six-hour course for aspiring investors through his organization Angel University. The last event of the week was Calacanis’s fireside chat on the Main Stage, where he spoke openly about his investment strategy and the need for the younger generation to adopt a strong work ethic. Head of StartmeupHK Jayne Chan, and WHub Co-Founders and CEOs Karena Belin and Karen Contet Farzam ended the day with closing remarks, toasting to the end of a fruitful week. “With market-driven developments, supported by the government’s innovation and technology priorities, we expect the growth trend to continue in the years ahead,” said Chan. 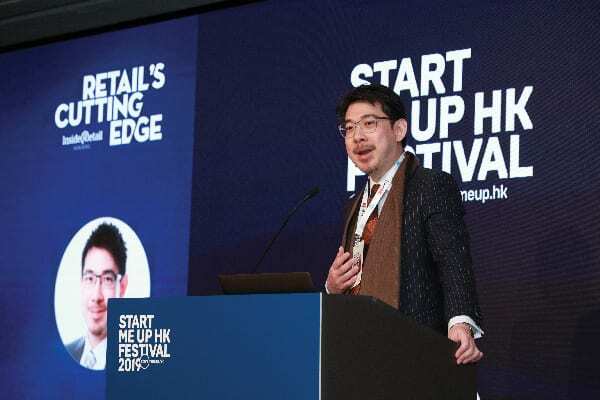 StartmeupHK has become an anticipated event for the regional startup community, and the 2019 festival was no exception. With the intent of being a knowledge-exchange platform for all stakeholders in the ecosystem, the festival also shared some impressive statistics about its growth. The city is now home to 2,625 startups, marking a 146% growth over the past five years and currently employs over 9,500 people. Fintech, ecommerce, supply chain management, logistics, and professional or consultancy service startups rank as having the highest representation. Founders in the city are also becoming more diverse, with 35% reporting to be non-locals (InvestHK). Based on this trend, it’s expected that the 2020 StartmeupHK Festival will welcome an even bigger pool of innovators who have the experience and skill set to address the world’s most pressing problems.